Keep your art protected in this Strathmore sketch book. 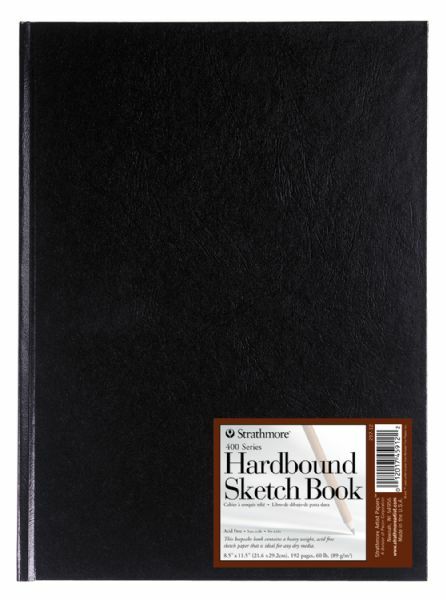 400 series acid free sketch paper bound in an attractive black hardbound cover ideal for any dry media. • Great for: Graphite pencil, colored pencil, charcoal, sketching stick, soft pastel, oil pastel or any other dry media. 125 points will be rewarded when you are logged in to your account and buy this item.